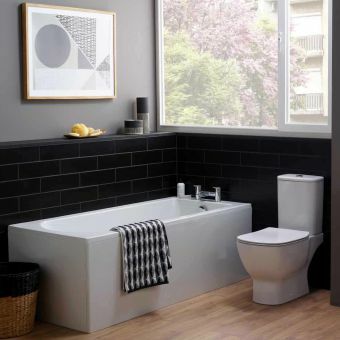 Offered in your choice of standard white acrylic or Carronite finish, the Carron Quantum Single Ended Bath is a compact bath, ideal for smaller bathrooms. Featuring steep sides, matching side and end panels are available for easy installation in corners. Four useful sizes are available: 1700 X 800 x 540mm, 1700 X 750 x 540mm, 1600 X 700 x 515mm and 1500 X 700 x 515mm. 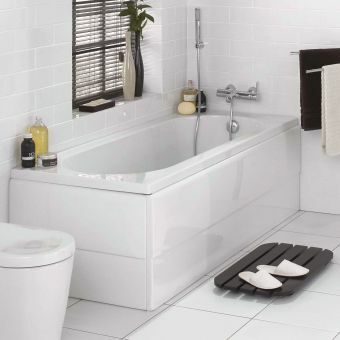 The steep sides of this bath offer a larger bathing area than is available in most standard size baths. 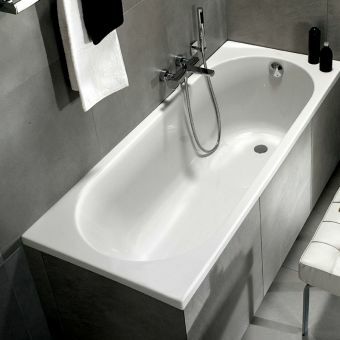 These baths and panels are stronger and more resilient than any other acrylic bath on the market. 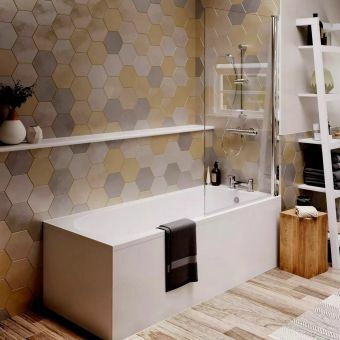 When installed correctly, this bath will last a lifetime. 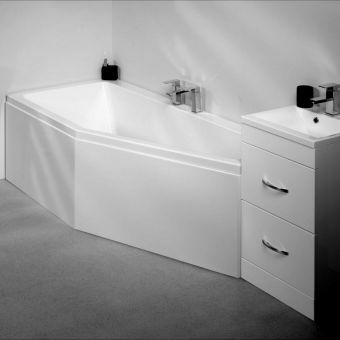 The acrylic bath holds more heat than conventional tubs, allowing you to enjoy a warmer bath for longer times. It is backed by a 30 year warranty.